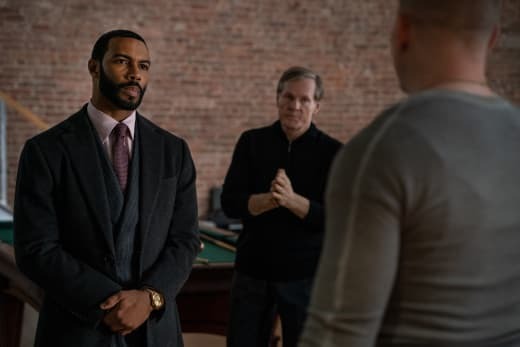 Power Season 5 Episode 6 Review: A Changed Man? 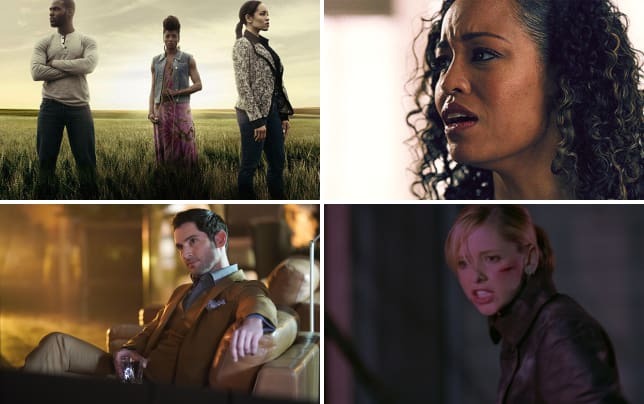 This season is an absolute mess. And I mean that in the BEST way possible. Right now, no one on this show is safe, well except for maybe Kanan because he continues to be on no one's radar, but other than him everyone else is in serious trouble. Just how is Angela going to climb herself out of the mess she's in, exactly? And what about Tommy? 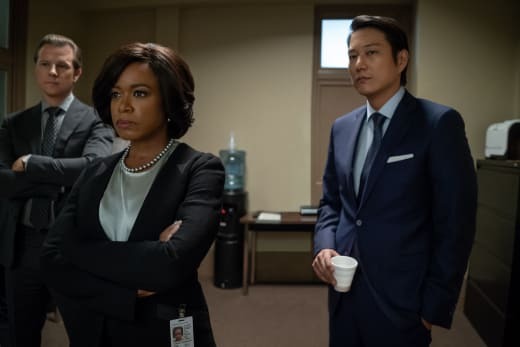 Power Season 5 Episode 6 pushed things even further to the brink, and it's getting hard to imagine this season not ending in some kind of bloodbath. Let's begin with Ghost and Angela, who found themselves getting closer and slowly slipping back into old habits. But what's interesting this time is Ghost actually seems to want things to be different. By at least admitting one of the many lies he told to Angela, it at least gives them a basis to re-start their relationship, professional or otherwise, on a better foot. With Ghost's newfound epiphany controlling his actions now, it was the perfect time to find out that Angela and Tasha have been working together. Instead of flying off the handle, he was able to understand and in turn make things easier for all of them. People have been clocking Ghost left and right this season and telling him all about himself. And while it may be starting to sink in that he's far from a great partner, father, and friend, the one thing that will take longer for him to fully understand is just how much people feel they need to protect themselves from him. Permalink: Maybe you can trust me if I actually do change. It's going to take a long time for the people who love Ghost to believe he's changed and to be honest, is anyone convinced he's really going to be able to change permanently? It's hard to imagine he will just become an open book and share all the details of his life with everyone. That's just never going to be him. But can he make some positive changes for the betterment of everyone? I like to think he's at least capable of that. One thing that is always going to bring him down, unfortunately, is Tommy. Teresi has him completely under his spell right now, and it's getting sadder and sadder to watch. Although at times it seems like Teresi may feel guilty, there's not really much he can do at this point. Mak and Saxe will never let him walk, and if it comes down to Tommy or Connie, he will choose Connie every single time. One would think at least. Speaking of Mak and Saxe, they are relentless in their pursuit of bringing down anyone they can. From Tommy to Ghost, to Proctor, to Angela, they are determined to get them all matching prison cells in the very near future. And it's beginning to feel like they may actually pull it off. We've gotten to a point where Proctor is actively trying to get his ex-wife to relapse so that she won't be a witness against him. What kind of nonsense is that? And Angela? I can't see a way in which Angela can justify her actions in the Ray Ray case. But then again, Angela has deserved to lose her job at least 10 times throughout this series, and yet she's still here working for the government of the United States. 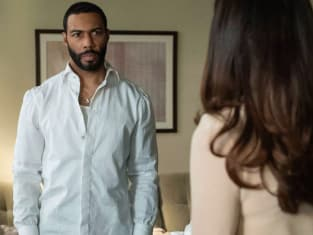 Tasha did really well in her interrogation with Blanca, but the seeds against Ghost and Angela have been planted, and if they come to fruition, it's nobody's fault but theirs. As much as Angela gets on her soapbox about the lies she's been told and not being sucked back into Ghost's world, she hasn't been completely honest with everyone either, and it could be one of the many things that bring her down. 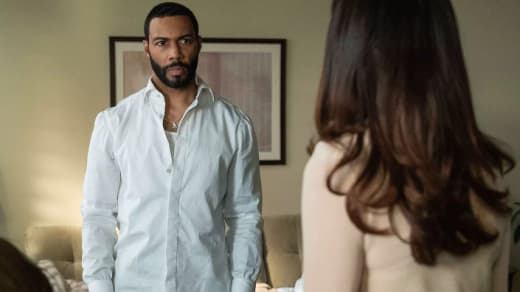 No matter how upset she is, it's hard to imagine that Tasha turns on Ghost or Angela, although the temporary stalemate may be over sooner than later. And it will be very interesting to see if she's able to get Terry to lie for her and the impact that will have on their relationship. All of this to protect Tariq, who is off losing his soul and starting a drug ring at a private school. Like I said, it's starting to feel like there is no way out of this for anyone. Can people stop giving Ghost alcohol? Please and thank you. On his redemption tour, Ghost struck a truce with Dre. Dre gets his job back, and he has to kill Jason and Ghost now has to kill Diego. Now, this is very intriguing and even more so because at this point Ghost hasn't told anyone else about their arrangement. Yeah, this is going to get messy. RIP Arturo. The minute you took credit for a murder you didn't commit, I knew you wouldn't be long for this world. Kanan nearly beating a man to death and Tariq taking the money off the man and casually flipping it in the air? Chills. He really is his father's son. So Power feens, what did you guys think about "A Changed Man"? 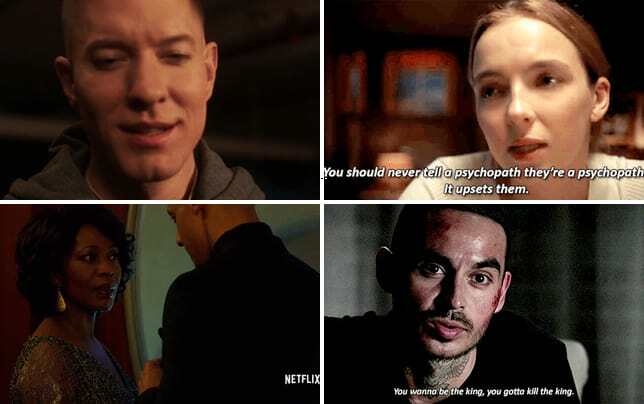 Do you think Ghost can really change? Is there any way Angela keeps her job? Will Ghost and Angela give it another try? Do you even care at this point? Make sure that you guys fill the comment section so we can talk it out. And please remember that you can always watch Power online via TV Fanatic, so you don't miss a beat! I know how you think. You play both sides against the middle. Find someone else to blame. Permalink: I know how you think. You play both sides against the middle. Find someone else to blame. You know me. I thought I had it under control. I thought I was making all the right decisions. Permalink: You know me. I thought I had it under control. I thought I was making all the right decisions.